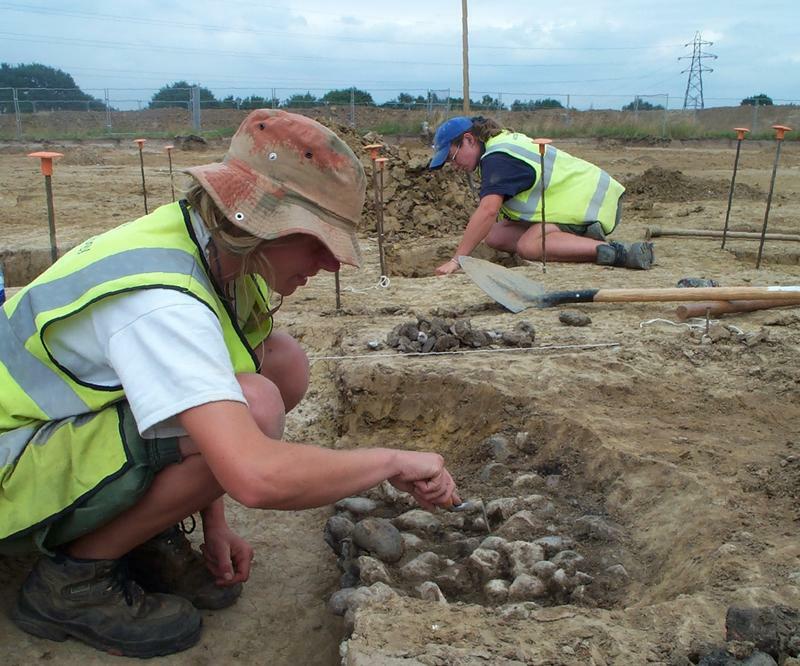 Excavation at Dowd’s Farm, Hedge End revealed evidence for Mesolithic to post-medieval activity. Mesolithic and Neolithic activity is attested by a small flint assemblage. A concentration of Bronze Age pits provides the first evidence for permanent occupation and an associated burnt tree-throw hole may suggest that tree clearance was being undertaken. Late Iron Age activity centred on two large ditched enclosures and an associated activity area, together with drainage, boundary and trackway ditches. Early medieval occupation focused on an area to the north of the existing farmhouse. Possible continuation of the field system established in the medieval period into the post-medieval period is suggested. Work on documentary sources has provided further evidence for occupation at Dowd’s Farm during the medieval and post-medieval periods. The full report, by S.E. Clelland incorporating contributions by John Chandler, Michael J. Grant, Matt Leivers, David Norcott, Ruth Pelling and Rachael Seager Smith, may be found in Hampshire Studies volume 67 2012(I).